This inkjet CD printer functions as a hands-free Autoprinter. 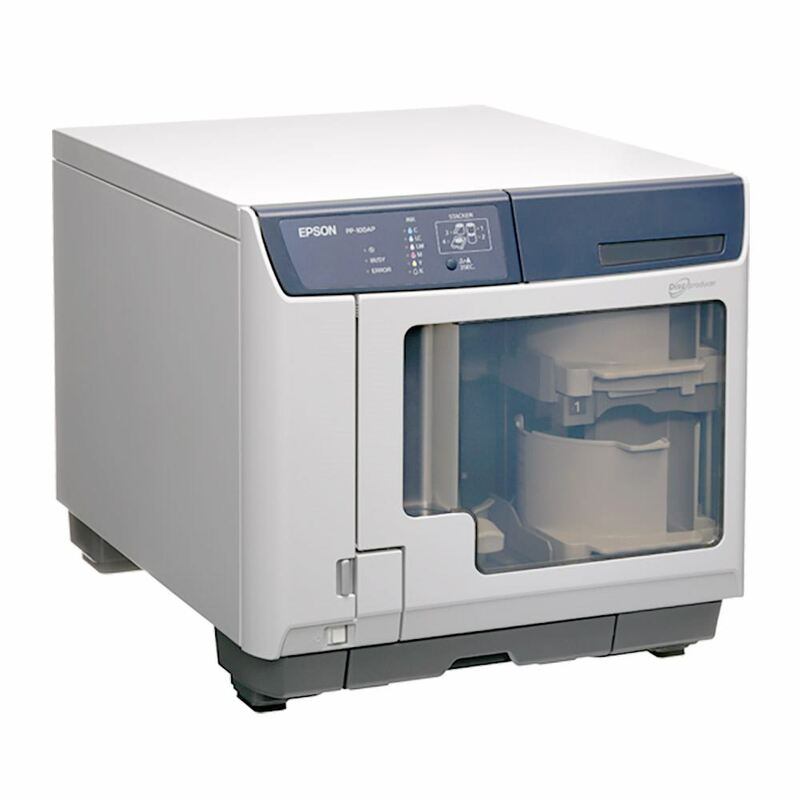 It is built on the proven track record of the disc producer publisher by Epson. This printer is capable of printing 95 discs per hour and over 1000 discs per ink cartridge set. It has the highest print quality in its class and comes with easy to use software and label templates. This CD printer easily sets the standard for speed, reliability, and quality. This requires a PC to operate. The Epson Discproducer Autoprinter is a truly low cost system for printing on large quantities of blank CDs or DVDs. Capable of printing up to 95+ discs per hour, the Discproducer sets a new standard for speed, reliability, and quality. The Discproducer AutoPrinter builds on the impressive performance of the publisher version with increased speed flexibility. 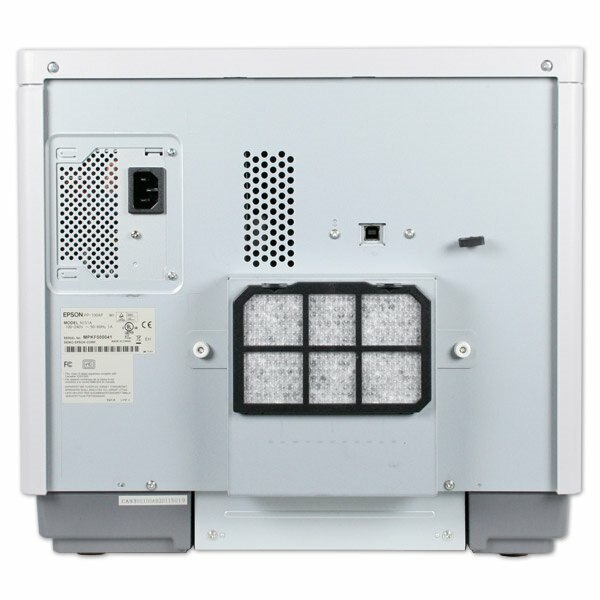 Up to six units can be connected to the same PC producing an astonishing 570 discs per hour. 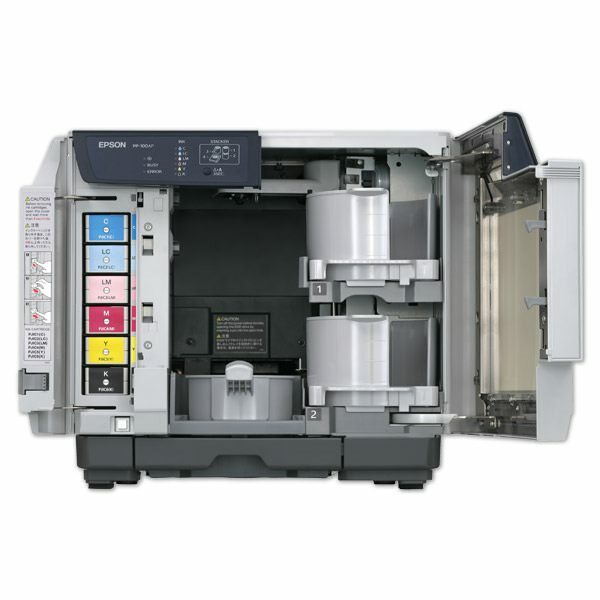 The same six color ink cartridge system is used and allows for 1000+ discs per cartridge set. The individual color ink cartridges also allow for replacing only the color that you are out of, so no more wasted money replacing tri-color cartridges. The highly successful Discproducer line was developed with high quality, high efficiency, and cost savings in mind, and the new AutoPrinter will surely help to build the Discproducer legacy. Up to 600 Free Discs!